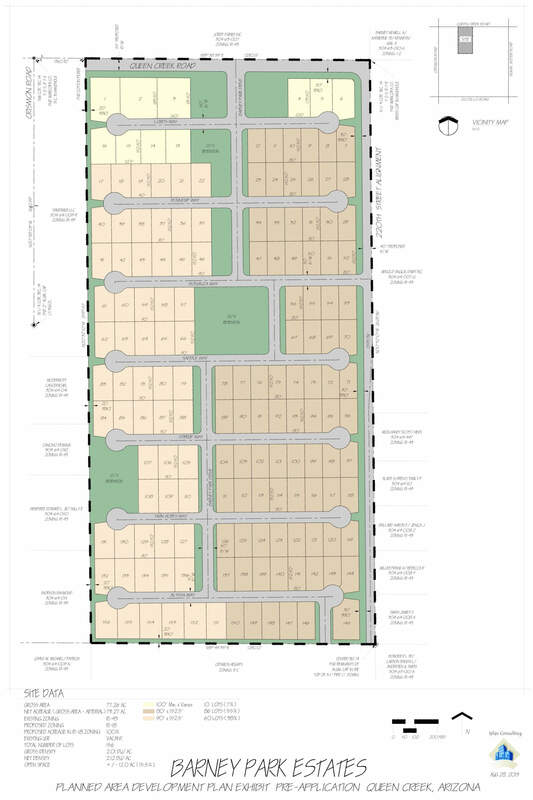 An 80 acre low density project in North Queen Creek that proudly bears the Barney family name. The project included a PAD zoning request for Single Family Residential zoning of R1-9 with 1/3 and 1/4 acre sized lots. The accompanying Preliminarily Plat included 156 lots with a typical lot size of 13,680 square feet resulting in a density of 2.13 dwelling units per acre. Iplan Consulting proudly lead in project management, PAD Rezoning coordination, preliminary subdivision design, neighborhood outreach, and coordination with Staff, Commission, and Council.